First featured on the award-winning website on football & pop culture – Goalden Times. The first line of Colo-Colo’s official anthem says, “Let us all sing from Arica to Magallanes, for Colo-Colo, an example of valour”. This perfectly summarises the expansion of club’s fan base in Chile from Arica in the north to Magallanes in the south. The team has a special place in Chile’s heart and helped Chileans hope for unity during years of political turbulence. Tamas Sinha at Goalden Times takes us through the extravagant journey of a club that became a part of Chilean folklore in five extraordinary chapters. In the 15th century, when Europeans were exploring new continents around the world, a nearly 40-year-old sailor convinced King Charles I of Spain that he could find the Spice Islands by the westward route through the new world. In 1518, Ferdinand Magellan, the Portuguese sailor – supported extensively by the King – started preparing for his journey in the Spanish city of Valladolid. After a year of preparation, he left for the unknown on a fleet of five vessels named Armada de las Molucas. The historical expedition is often remembered as the first circumnavigation of the globe, but Magellan lost his life in a battle in 1521 – leaving behind a vast legacy. A much-remembered episode of this quest was finding a pathway to the peaceful sea, or Mar Pacifico, as he called the Pacific – a strait connecting the gigantic oceans in the mystical land of Patagonia. This was later renamed as The Strait of Magellan in his honour – seven years after his death. Almost 400 years later, the strait became international news again in the early 20th century. Argentina and Chile fought endlessly over border territories, and, in 1904, a major conflict had risen up regarding the control of the strait. After much controversy and negotiations, the Strait of Magellan remained in Chile’s possession. This influenced a certain club from Santiago to rename themselves as Magallanes Atlético on their seventh anniversary. The team started in 1897 as Atlético Escuela Normal in Santiago, the football capital of Chile. A group of youngsters from Normal School decided to form a football club, which is now considered to be the first step taken towards a ground-breaking journey. Eventually, they adopted the legal name, Deportivo Magallanes. The Albicelestes, as they were known for their jersey colour, became a sensation in Chile, winning multiple metropolitan leagues in the next two decades. When the national league finally formed in 1935, Magallanes created a record by winning the Chilean championship for three consecutive seasons. This achievement remained unparalleled until another special club came by half a century later. We will come to that story later. History, however, remembers them for something even greater – specifically for the prodigy they created. In 1919, a boy from Normal School grabbed everyone’s attention with his brilliant technique and skills. His efforts didn’t go unnoticed by club scouts, and Enrique Abello approached him to join the Magallanes. David Arellano, then 17 years old, started to leave his mark from the very first season of his arrival. He won back-to-back Metropolitan Leagues – the biggest club competition in Chile at the time. Gradually he became a part of the national team as well, and Chile entered the South American Championship in 1924. They had failed to register a single win in the competition earlier and were hoping to change their unlucky streak in international tournaments. In 1924, by virtue of Arellano’s goal, Chile were able to take a lead for the first time in the tournament since its inception, but the team still failed to register their first win. Arellano realised that the traditional powerhouses of South America were already many steps ahead of Chile and were evolving to match up to their European colleagues. He felt that Chilean football needed some major reforms in structure, but sadly not everyone was convinced. He tried to give the Magallanes a professional shape and demanded regular wages for the players. But his demands seemed ludicrous to the club, specifically his argument to replace some older names from the Albicelestes. However, Arellano wasn’t alone. He, along with his brothers (who were also a part of the team) and a few other key players met the club management on 4th April 1925. The meeting didn’t go well and soon a new captain was chosen to replace Arellano. The rebels, led by the Arellano brothers, left the club. 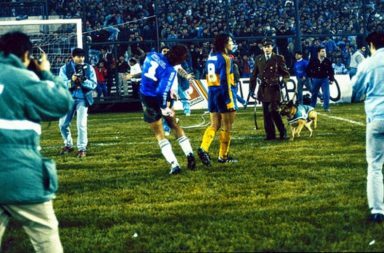 Fifteen days later, on 19th April, Chilean football saw the birth of its most successful club and the Magallanes neglected a chance to be a part of history. The club was born to take Chilean football to new heights. 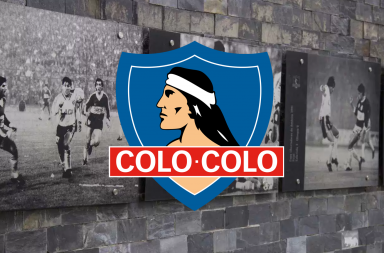 The connection with Chile’s indigenous culture was eminent as the club was named Colo-Colo, after the great Mapuche Indian chief Colocolo. He is an inspirational character in Chilean history, who fought against Spaniards in the early stages of the century-long Arauco War and never surrendered in his lifetime. Colo-Colo’s uniform was black and white—white as the colour of purity and black as the symbol of seriousness. Their foundation was strong and captain Arellano implemented a systematic training regime that helped the team excel further. They entered the Metropolitan Championship in 1925 with a thumping 6–0 victory over local club English, but the most memorable encounter was against the Magallanes. 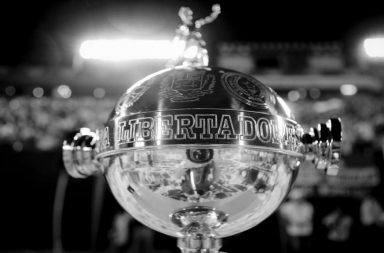 Colo-Colo won the match 2–0 and went on to finish the championship undefeated, earning the “Invincible 1925” tag. Colo-Colo’s success was reflected in the national team’s performance as well. When host Chile started the 1926 South American Championship steamrolling newcomers Bolivia by 7–1, fans could feel the change in the team. Chilean players had always lacked on-field discipline in previous competitions, and Arellano definitely brought some changes to their mindset. Chile’s performance in Santiago was quite revolutionary at that time. They won two matches in the competition and Arellano scored hat-tricks in both of them. They also managed to force mighty Argentina into a draw but finished third behind Uruguay and Argentina in the end. Although everyone’s favourite David (fans always preferred his first name) failed to score in the bigger occasions against both Argentina and Uruguay, he won the golden boot for scoring seven goals. In the 20th century, Argentine and Uruguayan clubs were exploring European football and had made several tours to Europe since 1904. Nacional and Boca Juniors had already shown the path to other clubs. Arellano convinced Carlos Cariola, a visionary entrepreneur and erstwhile President of Football Federation of Chile (FFC) to help him achieve his dream to conduct a tour to Europe. Cariola foresaw the financial benefits from such tours and organised a seven-month-long tour for the team. Arellano sailed to the other side of Atlantic and the footballing exploration started in January 1927. They initially visited Cuba, Ecuador, and Mexico before reaching European shores. Unsurprisingly, they won ten out of twelve matches against weaker opponents. In this prolonged tour, Colo-Colo visited various cities in Portugal and Spain. Arellano became an instant hit since his bicycle kicks were new to the European audience. The European press lauded his skills and named it “La Chilena”, while his Colo-Colo teammates were praised for their display of fair play. Their Spanish opponents were superior and Atletico Madrid outclassed them with a 3–1 victory. Colo-Colo’s lack of finishing skill was very prominent in these matches against superior teams. For their next match, Colo-Colo went to Valladolid, once the Spanish capital where Magellan’s famous expedition was organised. Their match was against Real Unión Deportiva Valladolid, and this time the Chilean team demolished the Spanish opponents decisively by a margin of 6–2. The Spanish team didn’t take this lightly and challenged the Chileans to play another match the very next day. Arellano was hesitant at first but his team persuaded him for the rematch. On May 2, 1927, he played the last match of his short-lived career. An accidental blow to his stomach at the 35th minute saw him leaving the field. Colo-Colo drew the match 3-3, but the very next day their commander suffered from traumatic peritonitis and died in the middle of the tour. “Dolor!” means pain in Latin. That’s how Los Sports, a Santiago-based magazine, described the painful fate of Arellano. The news shocked the nation, and Chileans mourned the death of a national hero. The tour, however, continued solemnly. Football culture in Chile was badly affected and Colo-Colo took some time to recover from this loss. Colo-Colo still has a permanent black bar right over its crest in Arellano’s remembrance. David Arellano might have lived for only 25 years, but he gave birth to an emotion that will live an eternity. According to a study in 2009, over 44% of Chile’s football fans prefer Colo-Colo over other clubs in the country. A club that could see beyond national success, Colo-Colo is not only a football club in Chile – it has now become synonymous to an emotion. 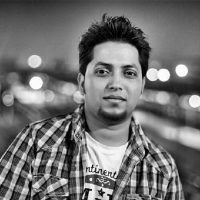 Content editor and staff writer at Goalden Times - an award winning website on football, numbers & pop-culture. Also featured in The Guardian, CNN-IBN, Times of India.